2018 came in with a vengeance. On top of seeing snow in unexpected places this year, we have seen a number of tragedies, deaths, illnesses, among other life-altering challenges. It’s almost as if the bottom fell out and many of you find yourselves trying to find sure footing again. Is there a place of certainty that I can find rest? Is there hope for me, my family, and our future? Even in this moment of transition I speak peace to the weary souls that are at a place of turmoil. I speak rest to your minds from the anxious toil. Cease striving trying to figure it all out and rest in the unfailing love of the Father; for He gives rest to His beloved. We must learn to accept His sovereignty and receive His grace. There are situations we will never be able to understand. We are to trust that God has it all under control and He is working it all together for our good. He will also reveal His plan as time unfolds. 2nd Corinthians 12:9 encourages us to rely on the grace of God; “My grace is sufficient for you, for my power is made perfect in weakness.” Paul wanted God to remove the problems he faced because they seemed too much for him to bear, but God knowing all too well the purpose of those trials encouraged Him that His power was all He needed. I challenge you today as you read this to take a step back and ask God to help you see your situation through His eyes. In times like these we need Him to broaden our perspective. As He does take comfort in the rest that He has already provided; be still my friend and know that He is God. There is nothing too hard for our God to handle. When everything around you is shaking, He is a firm foundation. He is the rock of ages. He knows how to steady you and establish your footing on solid ground. Father, teach me to rest in your unfailing love. I admit I get lost trying to find my way through life’s ups and downs. I don’t always know where to go or what to think. I don’t always know what to do, but you do. May I take comfort in knowing that Your purposes for me will be fulfilled. There is nothing that I will encounter that can separate me from Your love. Thank you, Father. In Jesus’s name Amen. 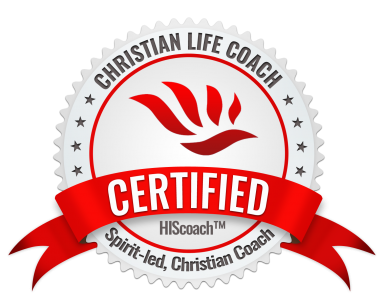 Your Breakthrough Coach ~ Breaking You through to a better you!